Blog » How Does Call Tracking Work With SEO? As a business owner, you know that nothing is more important than getting potential customers to visit your site and make contact with you. When it comes to monitoring the effectiveness of your web pages in generating leads, few tools are as effective as modern call tracking technology. What many business owners find themselves wondering, though, is how call tracking works with SEO. 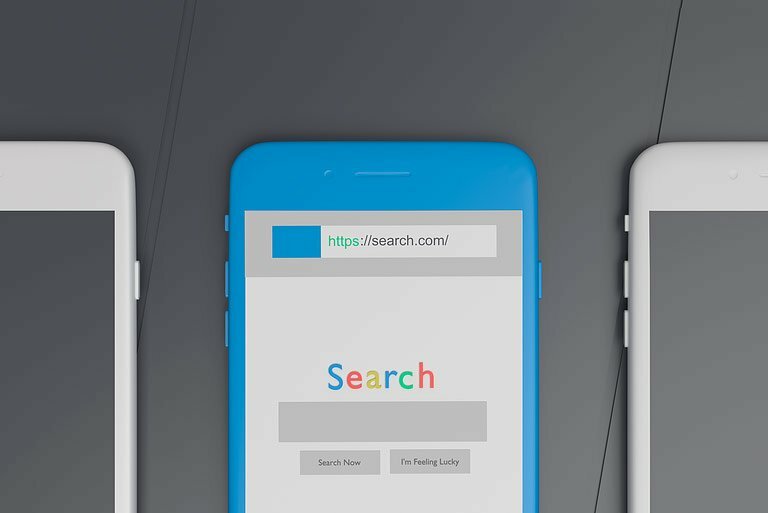 There’s a widespread mistaken impression out there that call tracking can damage your search engine rankings, but the truth is that the technology can actually help you to improve your SEO. Here are the facts you need to know about call tracking and SEO, as well as some of the other benefits of modern call tracking systems. How Can Call Tracking Benefit SEO? Call tracking is one of the best ways to directly measure the effectiveness of your web pages and promotional campaigns, and as a result can be used to improve your SEO. Call tracking’s huge advantage is that it provides you with a powerful conversion indicator. While there are many different ways to monitor the amount of traffic your landing pages are getting, call tracking is by far the best way to determine whether or not that traffic is actually translating into leads and sales. It is this ability to accurately track conversions that makes call tracking such a useful tool for SEO. One of the most common uses of call tracking in bolstering on-page SEO is in optimizing landing pages. By performing split tests of landing pages and seeing which set of keywords results in more web traffic and phone calls, you can optimize your landing pages with the best possible keywords. Keep in mind, though, that the real power of split testing comes from continuous testing and improvement. If you implement call tracking as a way to monitor the results of your ongoing tests, you can more accurately gauge which changes you can make to your landing pages to make them more effective. Call tracking can also help you develop a more complete understanding of which of your existing pages are providing the largest numbers of conversions. By comparing the conversion rates of different pages on your website using call tracking, you can discover what’s really working and what isn’t. From there, you can focus your efforts on optimizing your highest-converting pages in order to see maximized results from them. Why Is There a Myth That Call Tracking Detracts from SEO? For all of the benefits that call tracking can have in your SEO efforts, there is a persistent myth that using call tracking actually harms SEO. Like most myths, this one does have some original basis in truth. In the early years of call tracking, some marketers would list multiple phone numbers for their businesses across different websites in order to track conversions from different sources separately. This strategy conflicted with Google’s name, address and phone number (NAP) policy, which states that these basic pieces of information about a business should be the same across all directories. It was this conflict that led some people to mistakenly believe that call tracking itself was responsible for the damage done to SEO by violating the NAP policy. Today, though, most marketers use a technology called dynamic number insertion, or DNI, which allows for call tracking without the need to display multiple phone numbers and thus solves the NAP problem. The benefits of call tracking go well beyond just optimizing keywords, as everything from web page design to the wording of the copy on that page can affect conversion rates. Using the data you get from call tracking, you can optimize each element of your web pages to get more traffic and achieve higher conversion rates. Much like landing pages, call tracking can also be used to track the performance of PPC ad campaigns. By measuring the number of phone calls and conversions you receive from a PPC campaign, you can determine how effective that campaign was, measure its return and test it against future campaigns to gradually optimize your PPC strategy. With the enhanced conversion data provided by call tracking, you can also adjust your PPC budget to allocate more money to the campaigns that are generating the best returns. Though this aspect of it is sometimes overlooked, call tracking also gives you the ability to get to know your customers better. By tracking calls, you can see which ads or pages your customers are engaging with, then monitor their interactions with your sales representatives. Once you’ve tracked and monitored enough calls, you’ll begin to find common questions and responses from customers that can tell you more about what they’re really looking for. From there, you can use this information to improve your ads, landing pages and even the training for your sales representatives to achieve maximum customer engagement and satisfaction. As you can see, the benefits of call tracking are myriad, while the impression that it does any damage to your SEO efforts is little more than a misunderstanding. If you want to improve your conversion rates and gain enhanced insights into the performance of your landing pages, consider implementing Caller Insight’s advanced call tracking solutions as a part of your overall marketing strategy.